GaryMoller.com - Health, Fitness - Naturally! : Are you copper toxic? Here's an interesting video about copper toxicity. 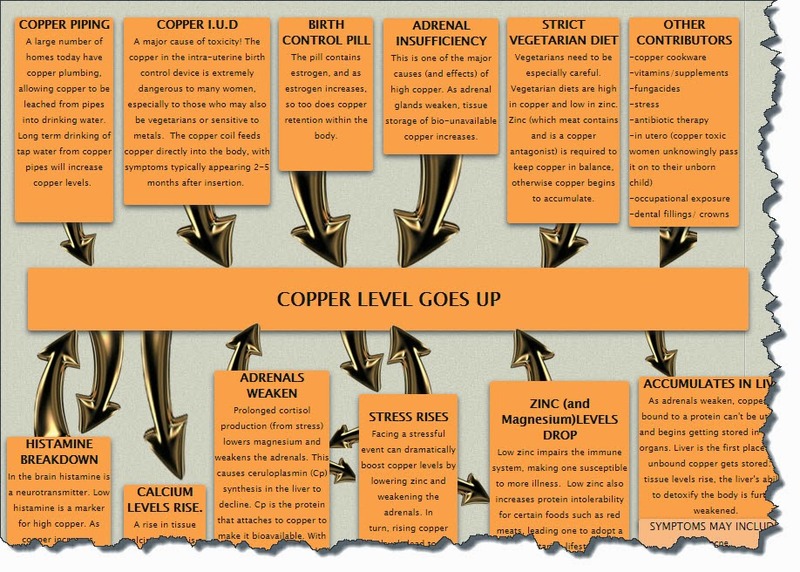 Health issues to do with copper, zinc and other minerals are epidemic nowadays with copper being at the forefront. However, it is essential to do the right testing to ensure that you know what you are dealing with, since low copper may be giving the same, or similar symptoms as high copper. For example, low copper has been linked with aggressive cancers and supplementing with copper improves survival rates in lab animals; whereas the video above is suggesting that high copper is associated with cancer. The answer is that it is all about getting everything into balance. Do not hesitate to get hold of me if you think this sort of health issue may apply to you.